"Our brains and minds are far from set in stone due to genet­ics or age. Grow­ing evi­dence sug­gests beyond a rea­son­able doubt that what we do at every sin­gle day has an impact on brain fit­ness that very same day and also later in life." An aspir­ing clar­inetist begins by get­ting a sense of the way the instrument’s sounds are pro­duced by the air she blows through it. A dri­ver must be acquainted with var­i­ous vehi­cle fun­da­men­tals, such as adding gas, accel­er­at­ing, and read­ing the speedome­ter. It is no dif­fer­ent with the brain. Max­i­miz­ing your brain’s health and per­for­mance begins with a basic under­stand­ing of how it works and how it evolves across the lifespan. The human brain evolved to help us oper­ate in com­plex, chang­ing envi­ron­ments by con­tin­u­ally learn­ing and adapt­ing. Suc­cess­fully doing so involves a vari­ety of brain func­tions and abil­i­ties, includ­ing var­i­ous types of mem­ory, lan­guage, emo­tional reg­u­la­tion, atten­tion, and plan­ning. While these func­tions are often car­ried out by dis­tinct neural net­works, they are fun­da­men­tally inter­de­pen­dent and thriv­ing in the envi­ron­ment we face each day depends on the func­tion­al­ity of all these brain func­tions, whether cog­ni­tive, emo­tional, or executive. For exam­ple, imag­ine that you are dis­cussing an ambi­tious new project with a client. The sit­u­a­tion is dif­fi­cult, both because the impor­tance of the deal for your career means you are anx­ious to close it to your advan­tage, and because the client is being quite con­de­scend­ing. The pres­sure to suc­ceed and the need to refrain from get­ting angry make it hard for you to “stay cool” and think straight. This turns out to be a good illus­tra­tion of the ways that we depend on “emo­tional self-regulation”, and demon­strates the fact that emo­tional and cog­ni­tive func­tions are tightly interconnected. Brain func­tions are not fixed at birth or after child­hood, as our brains con­stantly change over a life­time: over the short term in response to our daily thoughts, sen­sa­tions, feel­ings, and actions, as well as over the long term, as we con­tinue grow­ing wiser – and older. The good news is that we are not rel­e­gated to pas­sively watch­ing these changes occur. Our brains respond to basic lifestyle fac­tors that we have a large degree of con­trol over, and neu­ro­plas­tic­ity (the brain’s life­long capac­ity to change and rewire itself in response to stim­u­la­tion and expe­ri­ence) is at the core of the abil­ity to actively improve spe­cific func­tions through train­ing. Genet­ics is not destiny. 1. “Smart pills” sim­ply don’t exist. It would be nice, of course, if we could all just take a pill to quickly and pain­lessly increase brain health and per­for­mance. But, pub­lished evi­dence ques­tions the effec­tive­ness and safety of both sup­ple­ments and drugs for cog­ni­tive enhance­ment. Now, while evi­dence that “smart” drugs actu­ally work is scarce at the present, we do have a wide-ranging body of research to sup­port the idea that a few fun­da­men­tal behav­iors have a sig­nif­i­cant influ­ence on our brain health and fit­ness, and these include phys­i­cal and men­tal exer­cise and a healthy diet. So why don’t we start there? 2. Aging can bring decline… Start­ing in our late 20’s and early 30’s,research shows that speed of pro­cess­ing and work­ing mem­ory (the type of mem­ory that allows us to both hold infor­ma­tion in mind and work on it as needed) tend, on aver­age, to slow down, reduc­ing our capac­ity to process and deal with com­plex new infor­ma­tion. This is a grad­ual process that often first becomes notice­able in our early 40’s. How­ever, indi­vid­u­als vary sig­nif­i­cantly in how and when they expe­ri­ence these decreases: some peo­ple expe­ri­ence a sig­nif­i­cant decline while oth­ers do not. 3. … and also improve­ment. On the other hand, even after the brain is fully formed in young adult­hood, researchers have found that func­tions that ben­e­fit from accu­mu­lated prac­tice, such as vocabulary-related lan­guage skills, pat­tern recog­ni­tion, and emo­tional self-regulation, tend to improve decade after decade. In one study for exam­ple, researchers asked indi­vid­u­als from three age groups to read sto­ries about inter­group and inter­per­sonal con­flicts and pre­dict how these con­flicts would unfold. Com­pared to young and middle-aged peo­ple, older peo­ple employed higher rea­son­ing schemes that involved mul­ti­ple per­spec­tives, allowed for com­pro­mise, and rec­og­nized the lim­its of knowl­edge. So, the point is, we need both to nur­ture our strengths and to address our weak­nesses, if we are to main­tain peak per­for­mance along extended life and career spans. 4. “Cells that fire together wire together.” By prac­tic­ing a skill over and over we stim­u­late the same neural net­works in the brain, result­ing in the strength­en­ing of exist­ing con­nec­tions and the cre­ation of new ones. Over time, the brain can become more effi­cient, requir­ing less effort to do the same job, which is why brain train­ing can work if prop­erly imple­mented. This is also true with edu­ca­tion and life­long learn­ing. By increas­ing the con­nec­tions between neu­rons and increas­ing the so-called brain reserve (also known as cog­ni­tive reserve), learn­ing helps strengthen the brain against age-related decline and pro­tects us against poten­tial demen­tia pathol­ogy. Edu­ca­tion is a life­long endeavor, rather than one that largely con­cludes when we fin­ish school. In short, our brains and minds are far from set in stone due to genet­ics or age. Grow­ing evi­dence sug­gests beyond a rea­son­able doubt that what we do at every sin­gle day has an impact on brain fit­ness that very same day and also later in life. 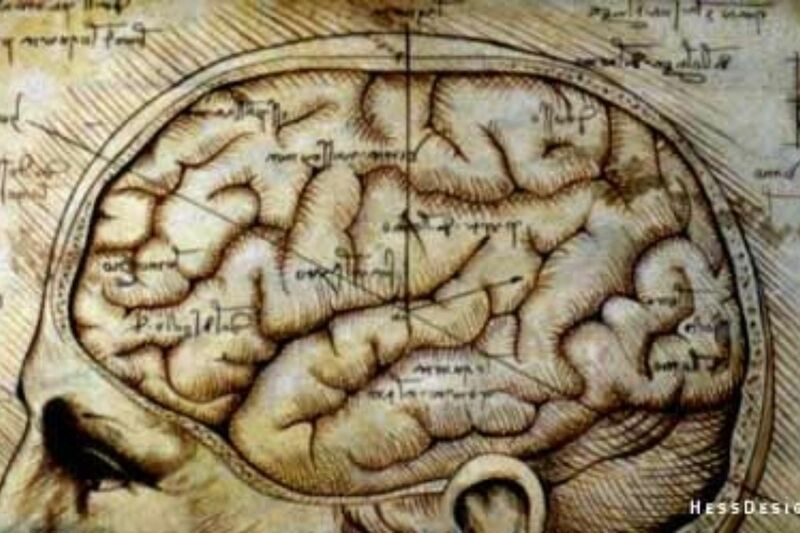 Edu­ca­tion, lifestyle, brain train­ing and deci­sions under our con­trol mat­ter as much as our genetic inher­i­tance in the tra­jec­tory of our men­tal capac­ity over time, a real­iza­tion that can be some­what daunt­ing but also immensely empow­er­ing. By read­ing this arti­cle, you have just now phys­i­cally changed your brain’s neural con­nec­tions and taken a step towards a health­ier and fit­ter brain. What will your next step be? This is an adapted excerpt from the book “The Sharp­Brains Guide to Brain Fit­ness: How to Opti­mize Brain Health and Per­for­mance at Any Age” (April 2013; 284 pages). This user-friendly, how-to guide cuts through the clut­ter of media hype about the lat­est “magic pill” for bet­ter brain health, offer­ing proven, prac­ti­cal tips and tech­niques to enhance brain func­tion through­out life and help ward off cog­ni­tive decline. Please con­sider read­ing the book and join­ing the book dis­cus­sion in Jan­u­ary 2014! The Sharp­Brains’ co-founder and Chief Exec­u­tive Offi­cer. He has been quoted by The New York Times, The Wall Street Jour­nal, CNN, Reuters, and Asso­ci­ated Press, among oth­ers. 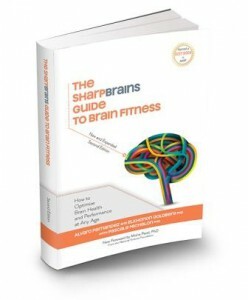 Mr. Fer­nan­dez is the co-author of “The Sharp­Brains Guide to Brain Fit­ness: 18 Inter­views with Sci­en­tists, Prac­ti­cal Advice, and Prod­uct Reviews, To Keep Your Brain Sharp,” recently rec­og­nized as a “Best Book” by AARP.